It is my opinion that currently the wilderness is non rewarding for anyone, not for skilling, PvM, or PvP. These are my suggestions for a more active wilderness. they encompass a direct risk / reward feature and allow for gold sinks / eco balances. Deep wild skilling bonuses such as wild skilling area wild skilling agility course. Reward : best woodcutting / mining / fishing etc. Risk : pay to enter / requires wealth high or above to enter / red/norm skull on entry. Reward : best exp rates for agilty by alot. Risk : wealth high or above to enter / red skull on entry / pay to enter etc. A prayer altar in deep wild where you get bonus exp, skull on use, requires risk to use. Currently bossing in wilderness is virtually pointless. My suggestions very well may make valuable items drop. but they are too rare as of now anyway. Reward : Give callisto / venenatis / vet'ion / chaos elemental / chaos fanatic / scorpia (bosses in +30 wild) the same drop table as Wyrm. and slighlty buff the rate of the drops. Risk : give the bosses harder max hits - more hp - and two forms of attacks so you can't cheese them - 5 min death timers. If possible make it so you have to risk bandos or more to kill them solo or working as a team with barrows etc. / skull when attacking them. Reward : remove all ancient warrior gear from the game and make it rarer IE 100m a piece and stronger. corrupt gear drops at same rates but only has 5 minutes of wearable time also gets a stats buff. remove brawlers. 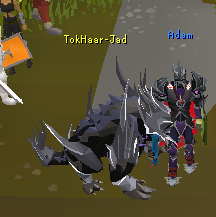 Reward : Add brawlers back to avatars add elder maul to melee / kodai to mage / dragon hunter cbow to range. With a massive drop rate like 1/20000 they should remain rare but still entice PvM'ers to show up. + being easier to kill than wildy bosses this area will be more active again. Currently PvP is very stale there are no pkers camping bosses or multi zones or anything and i think its sad. Reward : more hourly events where you get more pkp the deeper you are in wild. hourly events where multi pkp is doubled. more incentives to camp bosses and multi zones such as avatars. by adding items to there drop table again. risk : Etherum has a strong set of max gear, clans using the best gear are most likely to win fights over contested area's forcing people to risk more in deeper wild. Looking for people to tell me why this is a bad idea in comments please if you have a suggestion say so, if you don't like this say why, and leave a rating on the poll. PM "Cinderblock" Or "D E F E N D" In-game To Join #BloodLine Pure Cc! I don't support PvM. But the rest looks fine.